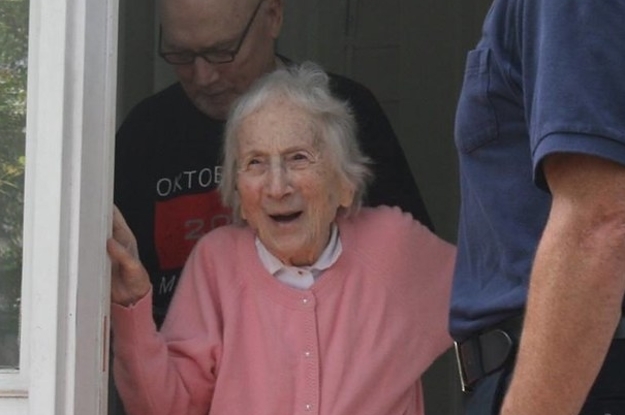 Best 100th birthday surprise ever. 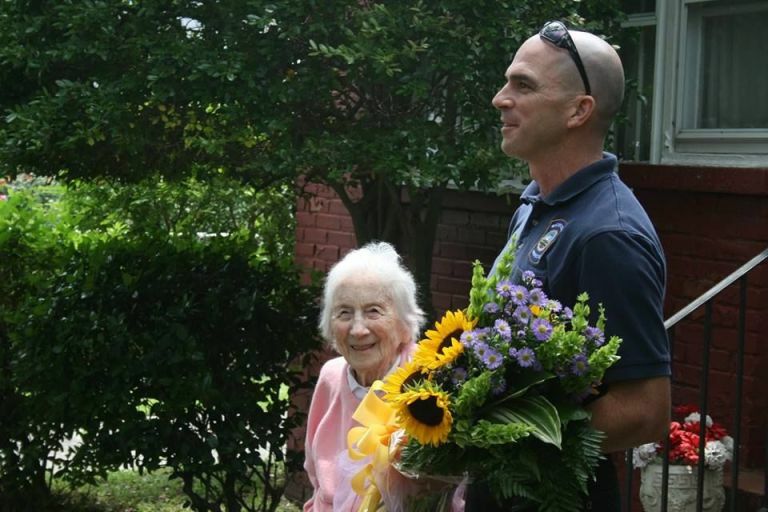 Turning 100 is a pretty big deal, especially when you’re able to celebrate it with a team of firefighters from Virginia. Jeanette Carty – a longtime Norfolk resident – had the best reaction when she saw the Norfolk Fire-Rescue Department at her doorstep on June 23. In a Facebook post, the firefighters wrote that Carty’s late husband, Joe, started working as a firefighter for the city in 1942 and served for 30 years before his death. The centenarian’s nephew, Capt. David Bear – who is now retired – was also a member of the Norfolk Fire-Rescue. On Carty’s big day, the town’s firefighters paid her a visit and showed her how much she means to them. The members of Battalion 3, Engine 11 brought a beautiful bouquet of flowers and surprised Carty with a round of applause. He added: “She seemed really excited about it. She was really surprised.” Happy birthday, Mrs. Carty!